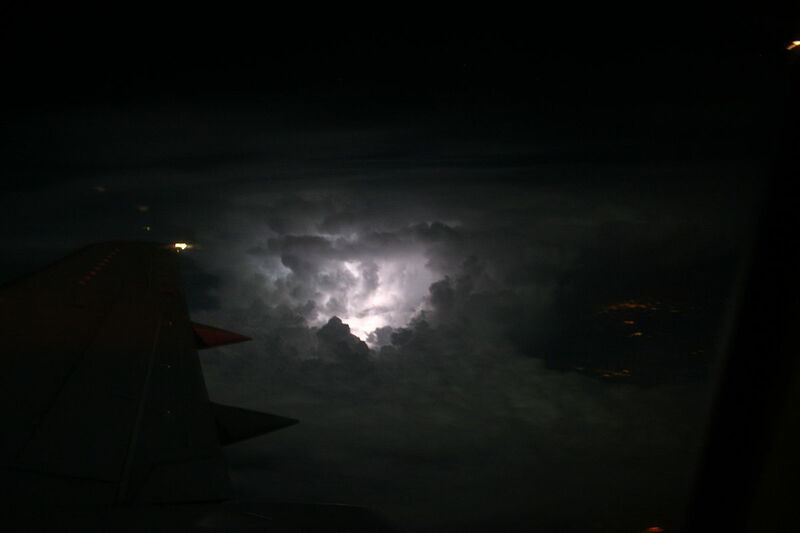 An SCP-3920 induced lightning strike, as viewed by Observational Plane San-14. Special Containment Procedures: Subjects that experience or witness SCP-3920 are to be amnesticized and provided appropriate replacement memories. Cover stories regarding non-anomalous targets will be disseminated after SCP-3920 occurs. All artillery shells produced by SCP-3920 will be transferred to the nearest Armament Storage Facility or destroyed. The local time must be between 10:00 p.m. and 2:00 a.m. When all targets are dead, lightning bolts will manifest and hit each SCP-3920-A instance, with the anomalies vanishing after. Although SCP-3920-B instances primarily focus on the operation of SCP-3920-A, limited interactions may occur with subjects. These interactions include salutes to the subject if they are current or former Canadian military personnel, waves, and thumbs up gestures. On one occasion a child subject was handed an Individual Meal Pack2 by an instance. Addendum: On 18-August-2018, Agent Flynn was dispatched on a mission to subdue PoI-1258 after the subject stole an anomalous object. At 1:40 a.m. the following day, Agent Flynn entered a confrontation with the subject at the edge of Lake O'Hara. PoI-1258 consumed Flynn's weaponry and was preparing to strangulate him when SCP-3920 was initiated. Two SCP-3920-A instances manifested in the vicinity of both subjects, each firing a shell that hit the other instance instead of the subjects. PoI-1258 swam into the lake at this point, presumably using the object to become camouflaged with their surroundings. The SCP-3920-B instances that had operated both howitzers convened near the location of Agent Flynn, appearing to enter a heated discussion while displaying signs of confusion. One instance then handed Flynn a slip of paper with the following text on it. All instances subsequently demanifested after a single lightning strike. 1. The 1st Brigade, C.F.A., an artillery unit used in the 1st Canadian Infantry Division during World War I. Several soldiers who served in the unit were reported missing after going on trips to areas around the Rocky Mountains. 2. A field ration used by the Canadian Armed Forces, introduced in 2005. How the rations were acquired is unknown.